FREE SHIPPING - Get This Top Quality Product with Free Shipping !!!. TWO POCKETS - 2 Pocket Folder with slot for Business card . MADE TO LAST- Durable Heavy Duty Glossy UV Laminated Folders - 100% Satisfaction Guarantee. 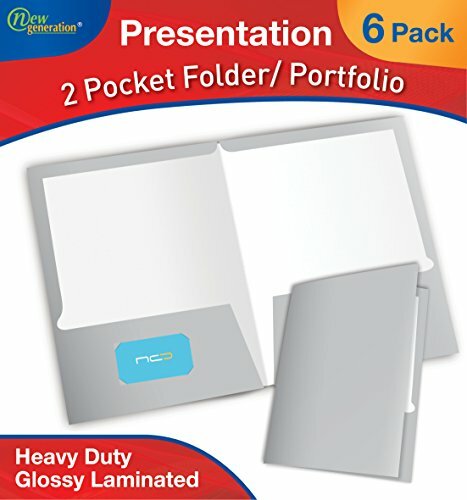 PERFECT FOR ANY PRESENTATION -Great for School , Home , Office and for any presentation project . KEEP YOUR FILES ORGANIZED - Our TOP QUALITY Folders Available in a wide variety of 16 colors . If you have any questions about this product by New Generation, contact us by completing and submitting the form below. If you are looking for a specif part number, please include it with your message.